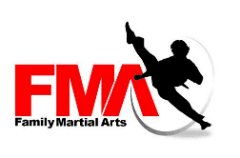 Why should I train at Family Martial Arts and not another school? → There are many great martial art schools and each has a unique benefit. However, we pride ourselves on teaching students to be well-rounded martial artists by cross-training in stand-up striking, throwing and takedowns, ground fighting, weaponry and street self-defense. We have a very strong lineage to the real legends of the martial arts so the techniques you learn have come from the real masters from all over the world. Apart from the physical, our academy is a very friendly and welcoming community of like-minded individuals and families. Students take part in a variety of leadership projects that relate to community service, healthy eating, environmental and community care, non-violent conflict resolution, acts of kindness and more. How often am I or is my child required to train? → When you first start once or twice a week is good to get a flavour of martial arts. When you want to take it seriously twice a week is a must. What age do you start from? Am I too old or too unfit top start? → No- definitely not! We have men and women start at all ages and fitness levels. You don't need to be in shape to get in shape. We are a judgement free zone and are here to help you reach your goals. When are the classes and when does the next session start? → Our classes are ongoing and run every evening Monday to Thursday and you can start at any time. Keep in mind that the martial arts is a discipline, not a sport. You will be expected to train year-round with reasonable breaks for vacations or holidays. Your consistency and dedication is what will see you through your journey to black belt. Start by signing up for your FREE Trial. → Our clean, modern facilities and equipment and our experienced certified instructors make classes very safe.